This may be all I needed to see. The uranium market, being a low volume, old school brokerage operation, is an insane place. Opague as concrete, and getting quotes isn’t much different than trying to swim through said material. I have been a little concerned, since uranium prices in the main broker-dealer I follow have just been collapsing. But URA seems to have bottomed, and indicated prices as increasing. So what’s real? Well, I can assure you, I don’t care what “uranium prices” are “really” doing. Because Cameco is living in CCJ land, where prices are higher. Lower uranium bids seem to be predominantly an phenomenon effecting small, POS miners. Sure, you can buy long term uranium contracts really cheap from a URRE, a UEC, or a USU. You can also take on the very real counterparty risk that they won’t be around in another two years to make good on those contracts. But if you don’t feel like taking long gambles on companies scrambling into deadend, horrible supply deals to stave off bankruptcy, you’re going to pay real rates to CCJ. I still need to look through their filing closely – there were a few things that stuck out to me briefly as mild concerns, when I did a once over. They still have a ton of currency hedges in place, that probably expose them to all sorts of potential losses, and I’m curious about how the NUKEM deal is working out. Also, the company has promised to cut expenses by 10%. This is just one of many elements that bares scrutiny and inspection. But the fact that Cameco could sell uranium for higher prices in this market is astounding. The uranium space ripped to the upside today. It was led by URA as the specter of a uranium price bottom led speculators into the miners. Several of the smaller names doubled, and even Cameco experienced a 3% upside day. The actual story is decidedly more complicated. Uranium prices at a few of the brokers I keep tabs on have actually begun to crack lower. The reports are that 8 separate utilities arranged deals at low prices last week and threats of funding and fears of even lower offers led the small names to cave into demands and sign contracts. This is why I have avoided small cap uranium miners, like foreigners in France around 1349. What comes next depends. Fears surrounding Japanese policy could be taking root. If those are grounded, then we may have quite a bit of trouble on our hands. Any such trouble would be viewed, from my perspective, as a buying opportunity. However, a rehash into the $10-20’s would not be out of the question. At current demand and sales, I put CCJ at $13, roughly. However, if Cameco and the other miners can band together, they may be able to strike back against the weak hands that are presently caving. Cameco is in the distinct advantage of controlling more than 20% of the global market. If they can leverage themselves, banding together some of the smaller survivors, they could create a strong floor, devouring the weak in the process at rock bottom prices. 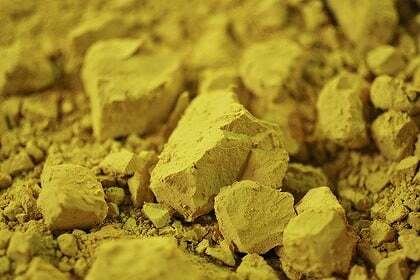 Longer term, the uranium market remains ripe for picking. There are several trends I am seeing that could lead grid demand to pick up 10-20% just here at home, at minimum, over the next one to two decades, and no real positive supply growth to see yet. Couple that with continued demands from environmentally conscious politics to trend away carbon emitting fuels and the necessity of alternative energies like wind or solar to be supplemented with constant energy sources and a build out in nuclear power is an obvious go to. Thus far, there is no word on Russia extending the HEU agreement. The moment will be dominated by Japan. The decade won’t care about Japan at all. I had a wonderful four day weekend, which culminated in a celebration. I would share that spirit with each of you on this fine evening. I hope all is well wherever you are. Catching up on today’s action, the signs are beginning to shift to CCJ’s favor. The stock rallied another 3.7% today. This is a long awaited development. Back in early 2011, after the Japan earthquake set off the greatest nuclear threat since 3 Mile Island, sheer panic had set in the public broadcasters. I watched, amazed, as men and women with no special understanding of nuclear power drowned out actual industry experts on live television with their warnings of calamity and doom. No claim was too exorbitant. The calls for widespread death and pestilence were matched only with the audacity of the foregone conclusion that nuclear energy must be completely dead. And then, I laid my reputation on the table and began slowly accumulating shares of CCJ, right in the midst of the panic as a nuclear reactor literally melted down on international television. Now, this is actually the second time I’ve seen a strong resurgence in CCJ’s stock price, leading me to believe in the possibility of a price recovery. The stock had hit the mid teens earlier, and after that discernable bottom, I thought perhaps those days were past. Alas! It was not to be. CCJ’s shareholders proved themselves cowards with the recent collapse of U308 spot prices; incapable of seeing the greater theme. This rally could be just another such fake. Yet, I have reason to believe it is not. There is great timing of the move, which coordinates with significant developments in the uranium space. Japan has announced they will fast track a discussion of nuclear energy – I believe they have no choice but to continue on the path. Germany (which previously announced a full scale out of nuclear power) has made decisions appertaining to their grid which make abandoning nuclear power impossible. The US has been rather cheerful about nuclear, finally giving permission for the construction of the first new nuclear power plant in decades. China is pushing full steam ahead. India has signed fuel trade agreements with Canada. And Russia is done flooding the markets with HEU from decomissioned warheads. Whether or not this is the triumphant finale to my symphony remains to be seen. I wait with bated breath.